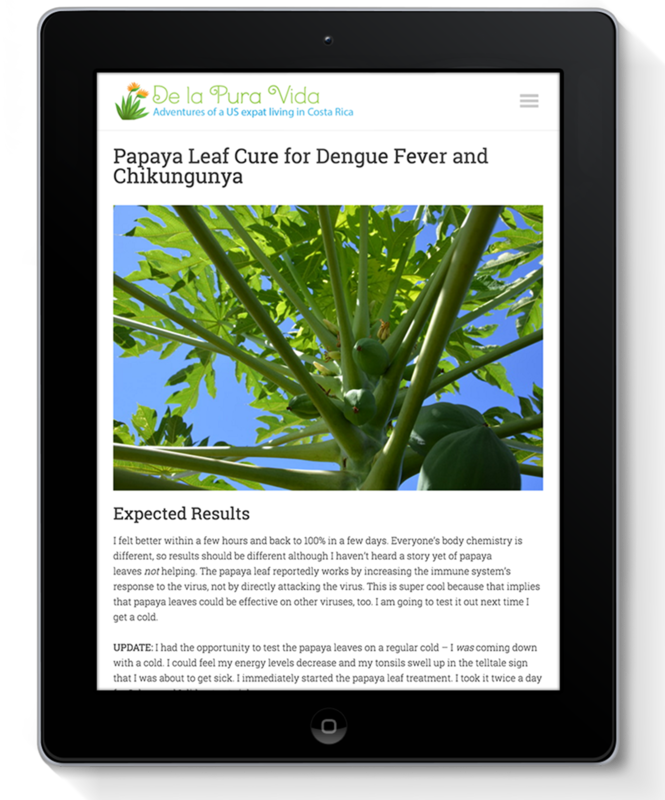 De la Pura Vida is a blog about Costa Rica, quitting the cubicle, and living a life unscripted. I redesign the site every one to two years to incorporate new, useful trends and functions. The internet and technology evolve so rapidly – it’s important to keep the website design and code fresh to prevent hacks, ensure it’s user-friendly, and keep it looking professional. In 2014, mobile internet access exceeded fixed internet access. That means that more people visit your website from a mobile device than from a traditional desktop or laptop computer. The success of a site depends on its ability to function well on mobile devices, which means a separate design needs to be made for mobile and all the many screen sizes and platforms need to be considered in the design and construction of a website. There are many ways to go about this. 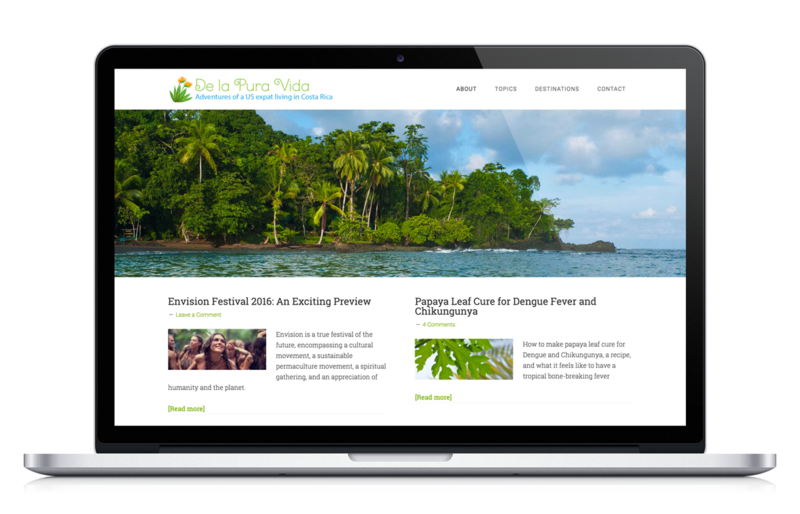 For De la Pura Vida, I created a responsive site. This means that with some foresight and tweaks to the code, the web pages detect the visitor’s screen size and orientation and change the layout accordingly.